Two people were treated in hospital but were later discharged. Media captionSham Khatun: "They shouted 'Police! ', they broke a couple of doors"
Searches took place at two addresses in Birmingham and a residential property in the Radford and Arboretum area of Nottingham. 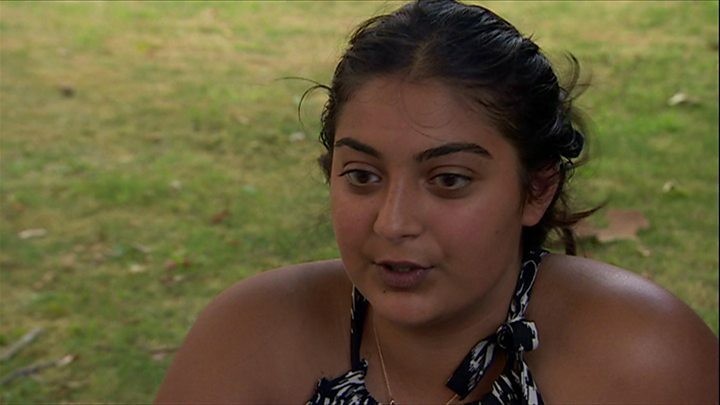 A woman who witnessed police arriving to search the Nottingham property told the BBC the raid took place between about 15:00 and 16:00 BST. She said other officers in plain clothes remained at the scene for a few hours. Sham Khatun said: "A van parked up outside the house, they broke into the house. They shouted 'Police! ', they broke a couple of doors." 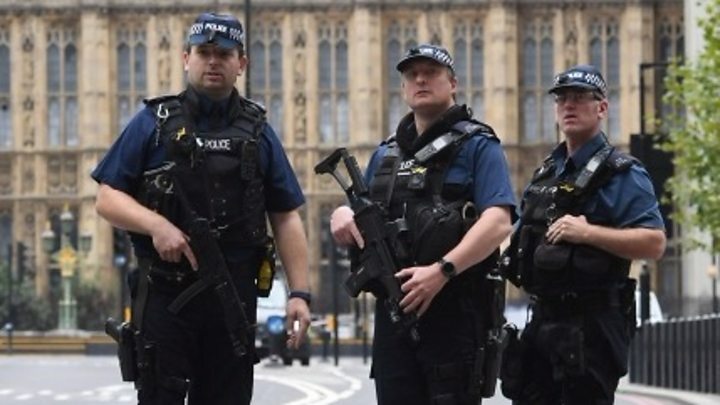 The assistant commissioner added there was "no intelligence at this time of further danger" to London or the UK as a whole. Labour's Roger Godsiff, MP for Birmingham Hall Green, tweeted that the driver was "believed to have been living in my constituency". 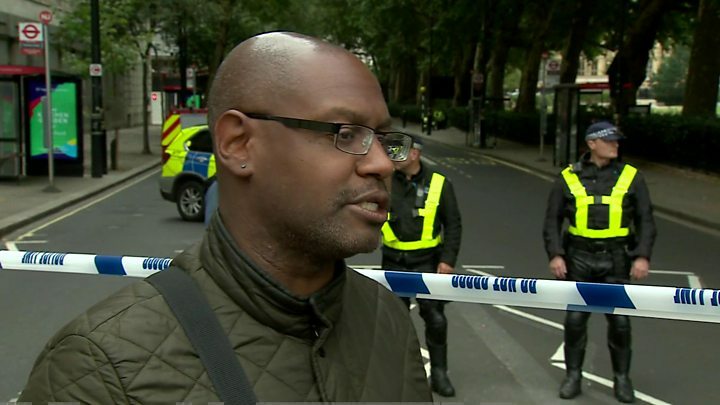 Home Secretary Sajid Javid said: "The briefing I have received from counter-terrorism police and the security services is that work is ongoing and they are doing everything they can to find out more about the incident. "We must keep an open mind about what has happened." 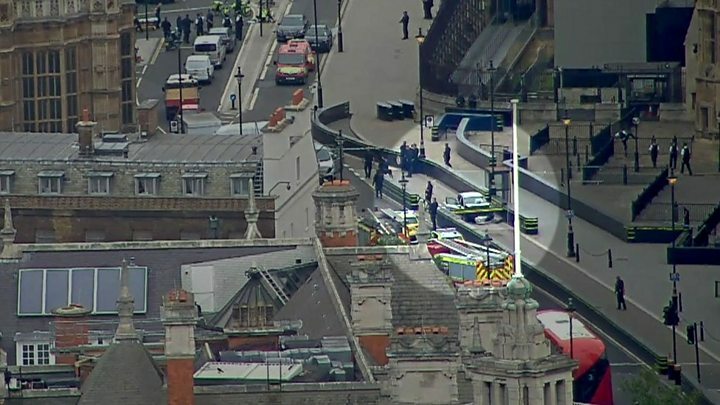 The prime minister paid tribute to the "formidable courage" and professionalism of the emergency services who "ran towards a dangerous situation in order to protect the public". The threat of terrorism is a constant concern for Parliamentarians - it's not new. Irish republican paramilitaries murdered Airey Neave MP in 1979 in a car bomb that exploded within the palace grounds. And the dilemma remains the same: how best to balance security with guaranteeing that the heart of British democracy remains open to the people.